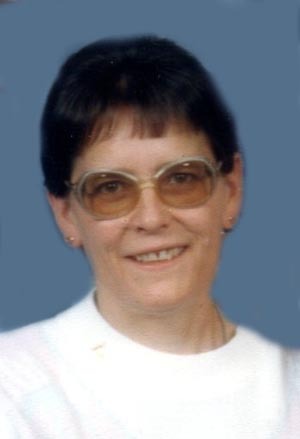 ‘Becki’ Preedy, age 64, of Giltner, formerly of Sublette, Kansas, passed away Tuesday, April 18, 2017 at CHI Health St. Francis Medical Center in Grand Island. A Memorial Service will be held at a later date. Memorials may be made in care of the family. Higby-McQuiston Mortuary is in charge of arrangements. Condolences may be e-mailed to the family through the mortuary website at www.higbymortuary.com. Rebecca ‘Becki’ Marie Preedy, the daughter of Claude Hollenbaugh and Anna (Bailey) Cook, was born in Denver, Colorado on September 26, 1952 and passed away in Grand Island, Nebraska on April 18, 2017, at the age of 64. Becki grew up in Denver, Colorado, and she graduated from high school in Garden City, Kansas. She worked for several different businesses when she lived in Garden City and Sublette, Kansas. Becki was united in marriage to John E. Preedy on October 2, 1971. They had two daughters, Doni and Billie on a farm they owned north of Satanta, Kansas. Becki was a farm wife and worked at AMI Incorporated and Brookover Companies while raising their girls. John passed away on December 23, 2004. Becki moved to Giltner, Nebraska in 2013. Becki enjoyed gardening, fishing, camping and the horse races. She loved spending time with her family and attending her grandchildren’s activities. Becki also liked to sew, go bowling and gamble. She was preceded in death by her parents; husband; sister; brother; three brothers-in-law; two sisters-in-law and a step mother & father. Those left to cherish her memory are her two daughters, Doni Preedy & Artie Randalls of Sublette, Kansas and Billie & Jeff Linden of Giltner; 4 grandchildren, Dakota Linden and Trevor Linden of Giltner and Artie Randalls, Jr. and Bria Randalls of Sublette, Kansas; sister, Patti Black of Ukiah, California and many other relatives and friends.